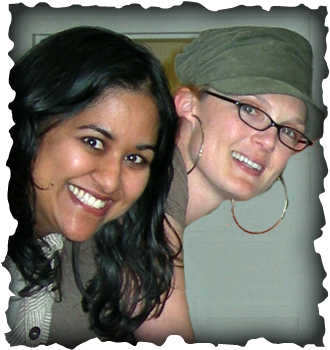 Kay Stephens and Vinitha Nair each have more than 20 years of experience working with mainstream and at-risk adolescents. After working together for a decade on digital learning environments for kids and cyberbullying, they co-wrote Cyberslammed: How To Understand, Prevent, Combat & Transform The Most Common Cyberbullying Tactics in 2012. Since then, Kay has done extensive educator trainings throughout Maine to help parents, teachers, administrators and students about various cyberbullying tactics. A regular columnist on cyberbullying, she offers presentations to parents and educators giving them the tools they need to effectively prevent cyberbullying, using common sense, social-emotional strategies, technology tips and eastern philosophies of defense. In 2013, Cyberslammed won first place in nonfiction in IndieReader's Discovery Awards. Kay Stephens is an award-winning author of fiction and nonfiction and a freelance writer with more than 20 years of experience working with teens and tweens in New England. As the program administrator of a groundbreaking STEM program for middle school girls, she was the first to create Internet Safety and Cyberbullying Prevention Workshops throughout Maine in the early-to-mid 2000s. She teamed up with Vinitha Nair to research and write a workbook for parents and educators on the six most common types of cyberbullying titled Cyberslammed, sponsored by Time Warner Cable and published in 2012. Vinitha Nair is a consultant in product and project management for the education, entertainment, and media sectors. She is also a trustee of Platform Shoes Forum, not-for-profit organization that promotes science, technology, engineering and math (STEM) education for underserved middle and high school students. Vinitha continues to work with academic and corporate partners to promote workforce diversity and gender equity.